Statewide Towing and Recovery provides 24 hour personalized dispatch service dedicated to the transportation and heavy equipment industry. Our truck and heavy duty towing and recovery division has a fleet of specialty trucks for every situation, including units with under reaches for damage free towing. For extra challenging wrecks, Statewide Towing has recently added one of Maine’s only 45 ton 360 rotating boom trucks to our fleet! 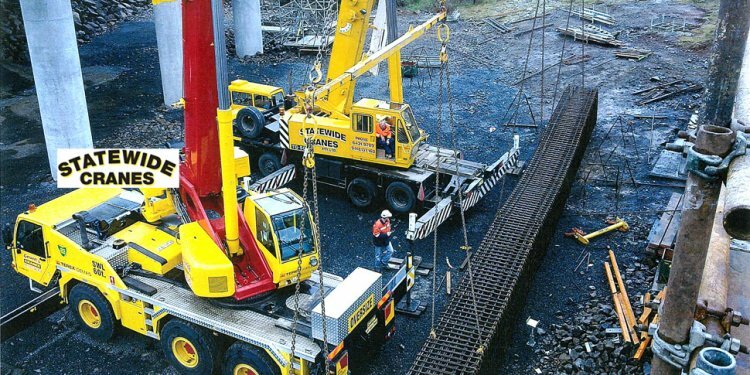 Statewide Towing can tow anything from a 5-ton body job to a large quad axle crane! We are licensed and insured for all Maine and New England jurisdictions. Rest assured that while your rig is in our control, it will be covered by the finest insurance available to our industry. If there has been an accident and your unit needs to be up-righted and removed from the road quickly and safely, Statewide Towing has the solution. We are your number one source for heavy duty recoveries and are the only towing company in Maine. Each one of our operators has a minimum 15 years experience in the heavy duty towing and recovery industry, one of which is the owner of the company. All operators have Transportation of Dangerous Goods (TDG) Certification and have completed intensive training programs. All of our trucks are Maine State Safety Certified. We are always happy to accommodate commercial trucking & fleet service contracts. Contact Us with questions. At Statewide Towing and Recovery, we understand that your truck is more than just a means of transportation. Your rig is your livelihood and, in many circumstances, your home away from home. Downtime for your truck results in lost wages and expensive hotel bills. Our all-inclusive commercial towing company offers you all the services you need to get your rig motoring again. We provide both long-distance and short-distance towing and roadside assistance services for your heavy truck, tractor-trailer, motor home and recreational vehicles.